Yes, Mr. Randomessa and I have pre-ordered Rift, including one Collector’s Edition box for the goodies. No, we will not be taking Trion up on their generous multiple-month subscription discounts. Resolutions to keep, and all that. Although we’re pretty much sold on the game, we were really waiting to try out this weekend’s Warfronts, something it turns out I will barely be able to do, what with my extended work schedule that always seems to coincide with beta weekends. A part of me shares Syncaine’s concern that, like Warhammer, Rift will not be able to withstand the population behaving differently at launch than they are in beta (a behavioral change I admit I don’t understand, but then I am that odd gamer who is neither competitive nor reward-driven). On the other hand, I wouldn’t have traded my headstart and first six months of Warhammer Online for anything, and if the absolute worst Rift can do is give us six months of rip-roaring fun, that’s a bet I’ll take. 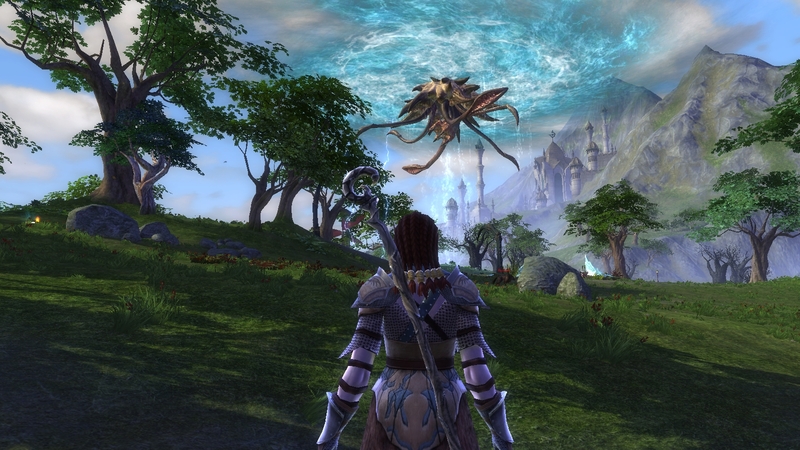 That’s how I’m approaching Rift as well, and I hope to be adventuring with you in Telara. I went with the 3 month plan since I know for sure I’ll be playing more than a month beyond the free 30 days, but 6 months? Eeeehhhh…even at $9.99/mo, I’m not sure I want to take that plunge. Yes, it’ll be nice to run around with a handful of fellow bloggers should our time zones overlap :). I’ll keep an eye out for what server everyone is rolling on come headstart! Because I am an internet noob, I don’t know the controversy surrounding WAR’s ‘population shift’. Could someone enlighten me? Oh, that just refers to the fact that during WAR’s beta, people were out in the open world, fighting each other just for the fun of it. The world seemed fun and alive and full of people and everyone bought in, expecting things to continue that way. When the game went live, players quickly figured out that the most XP could be gained most quickly by participating in scenarios, so the open world soon emptied out, replaced by people standing in warcamps chain-queueing for scenarios.